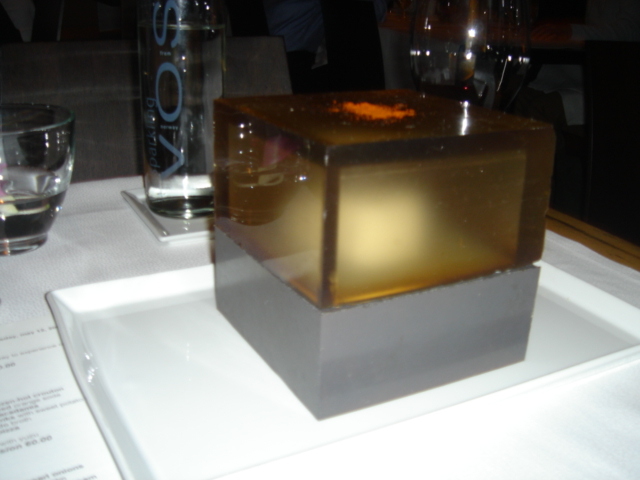 Of all the restaurants featuring modern cuisine in America, Moto is clearly the most controversial. Most of today’s young chefs who are working in the avant garde genre prepare cuisines that are derivative of the famous modern Spanish chefs like Adrià, Roca, Adoni, and Beresetegui. But Moto’s chef/owner, Homaru Cantu, has tried to avoid that model, and as a result he marches to the beat of his own drummer. Cantu is also interested in created entirely new cooking and dining apparatus, as well as creating new techniques, and that results in the restaurant serving a few dishes that you won't see anywhere else. Even the décor and ambience of Moto are different from your usual high-end restaurant. Modern, casual, with chill out music playing in the background, it’s more like eating at Moromoto in Philadelphia than Per Se or Charlie Trottter’s. Our dinner at Avenues got off to a bad start. We had scheduled a dinner for six people on the day before our Alinea reservation, but with various cancellations and replacement diners, it turned out that Mrs. P and I would be dining there solo. So on Thursday afternoon when I checked into the hotel (we were conveniently staying at the Peninsula where Avenues is located), I phoned the restaurant to tell them we were going to be two instead of six. Unfortunately, nobody answered the phone. It was about 5:30, and I thought this a bit odd, so I decided to try again. This time, after the phone rang for a while, a man finally answered. I asked if I had reached Avenues, and told him I was trying to change my reservation for the next night. At first it seemed that he was going to tell me to call back later, but he changed his mind and said he could help me. He asked my name, and after a few moments of searching, he claimed that there was no reservation for a Mr. Plotnicki on the night in question. “What's the name again, sir?” His second crack at it wasn't any more fruitful than the first one. Finally, he said he would just make a reservation for two people on Friday evening at 8:00 p.m. I started out the week being a bit aggravated with Frank Bruni. There I was, having organized my plans to dine at El Bulli, Alinea, Avenues, and Moto all within the same two-week period, and it turns out that Bruni, the restaurant critic for the New York Times, had the exact same idea. To make things worse, he writes a front page article about these restaurants in the food section of last Wednesday's paper. Has he been hacking my emails? On the other hand, if the New York Times needs to hack my emails in order to find out where the important restaurants are, I would take that as a great compliment. 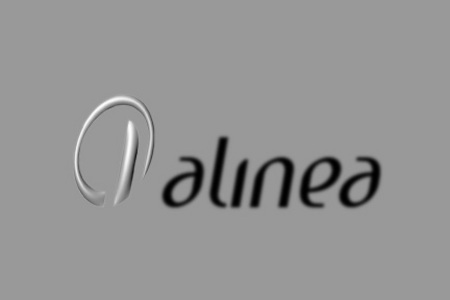 Regardless of who copied whom, Alinea is the most important restaurant opening since Per Se opened in New York City about a year ago. 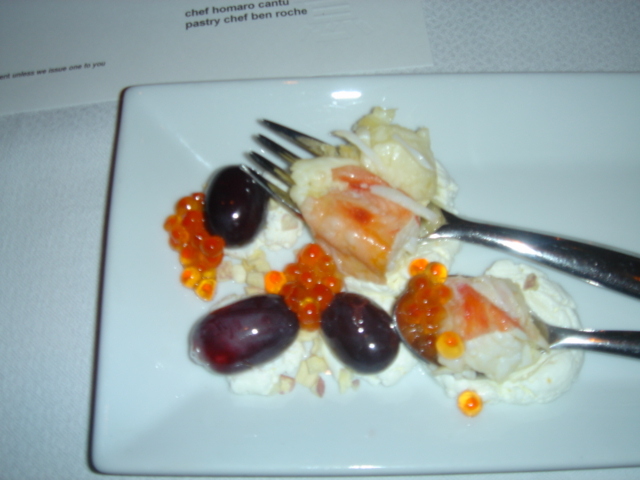 In fact, I could look at the opening of Alinea through a narrower lens and say that this was the most important restaurant opening of all time: Alinea is the first restaurant I know of where this much money was invested in a restaurant which focused on modern or avant-garde cuisine. And if one believes, as I do, that the future of cuisine lies in the hands of chefs practicing this type of cuisine, I can’t think of a more important restaurant opening than Alinea. 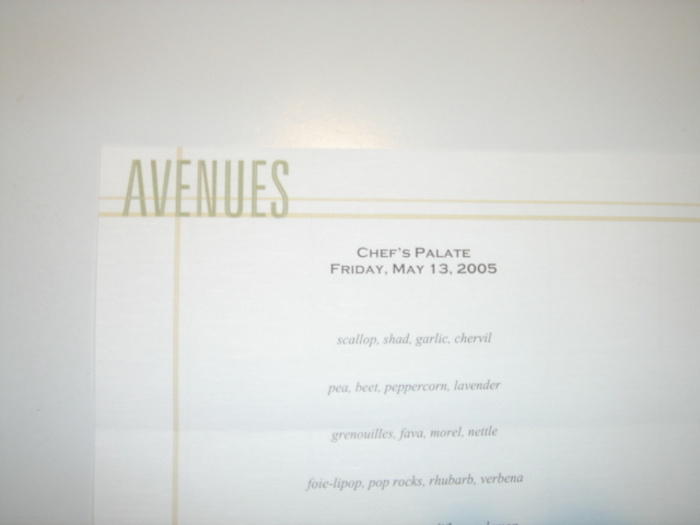 The pre-opening publicity for Alinea was very different from the way other restaurants customarily treat their openings. Publicity is usually limited to opening dates and a few sentences describing what the chef is trying to accomplish in his cuisine. 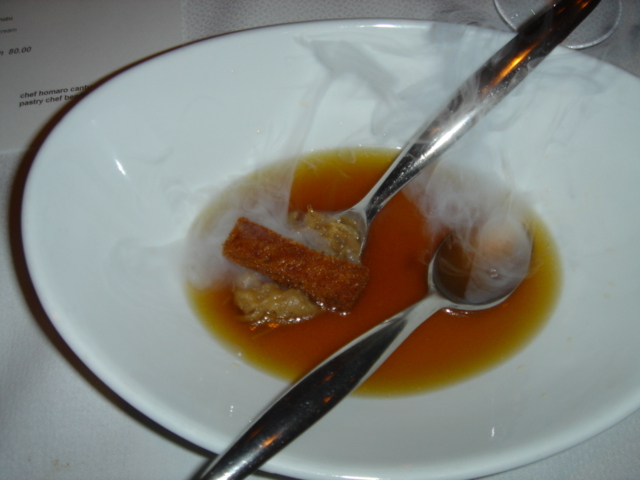 But Alinea’s chef/owner Grant Achatz, who had been the sous chef at Thomas Keller’s French Laundry and then the chef at Trio in Evanston, Illinois, actively posted information about the restaurant on the forum discussion group eGullet. 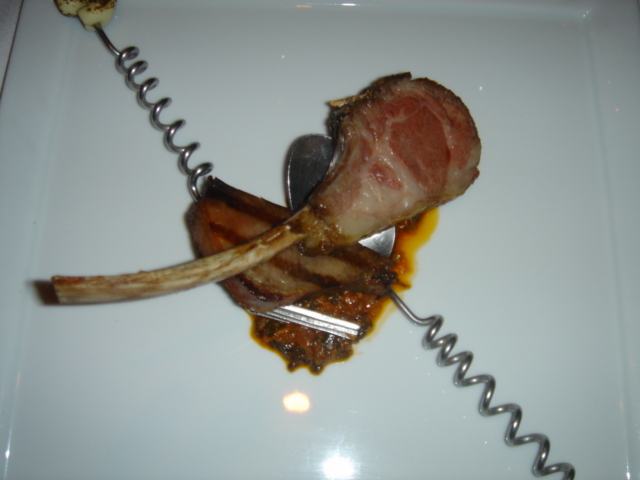 Grant discussed the dishes he was working on, and described various serving and dining implements which he claimed were invented specifically for Alinea. Arguably, the climactic moment of the pre-opening publicity came when he proclaimed that after 400 years, the dining public was tired of using forks and knives.